Does a country that “promises” to wipe Israel off the map have a right to create nuclear energy for “power?” I must admit, news that Iran is looking to create power from solar energy puts some of my (irrational?) fears of living in Israel aside. 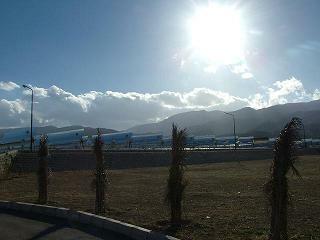 According to the Iran Daily, Iran’s first solar powered station has been inaugurated. 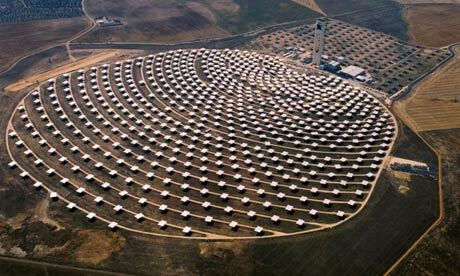 The new plant is a concentrating solar power (CSP) plant, similar to one in Spain which reflects light to a central tower. 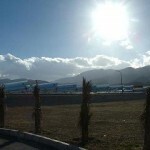 The plant was inaugurated at the beginning of 2009, in Shiraz, the Fars province. 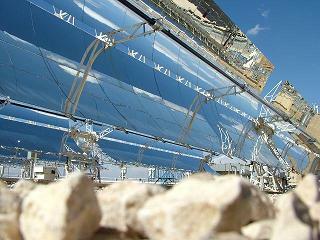 The CSP system uses parabolic mirrors which focuses sun onto a tube of water. Eventually becoming super-heated, steam in the tube is used to turn electricity-generating turbines. Guardian’s environment blog writes: The solar radiation hitting the Earth contains around 10,000 times the energy needs of the world’s population. 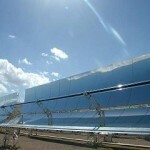 CSP is seen by many as a simpler, cheaper and more efficient way to harness the sun’s energy than other methods such as photovoltaic panels. But it only works in places with clear skies and strong sunshine. 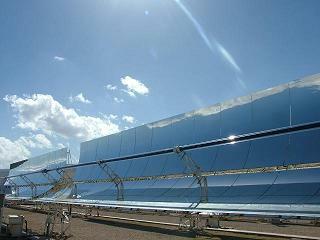 As such, large CSP plants of up to 20mw each are already in construction in the sunnier parts of the world. Ecoworldly reports that photos of the new installation are hard to come by, as is news in English: “English information about the Shiraz plant is hard to come by, but more photos of the plant and information in Farsi is available via the Renewable Energy Organization of Iran. 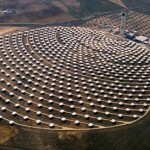 The news gives hopes for countries with plentiful sun to secure clean energy for the future. While the Iranian plant is not so large (only 250KW, are enough power for about 200 families), it’s a good start. Next Next post: Eco-Rabbi: Parshat Vayechi – What’s in a Blessing? I thought it Funny how in this ad from the 60s and 70s Iran was praised in the US media for its decision to make nuclear power for electricity. Others argue well why dont they use hydroelectric, wind and solar to increase the electricity output. Iran already has wind power feilds at manjil, Rudbar, binalood, and the Iran-Armenia wind farm. Iran is curently the only country in the region that produces wind turbines and ranks 30th in the world in wind power. 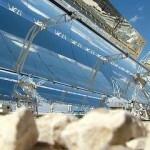 Solar power is still in its early stages in Iran with just 2 plants one in Shiraz and one in Mashad around 2009. As of 2010, Iran has constructed 588 dams (big and small), with 137 more under construction and 546 planned. It should also be pointed out that in terms of energy consumption Iran ranks 13th in the world. Energy consumption has even doubled since 1990. Given that Tehrans pollution is world famous with numerous articles in the “western” media that acknowledge this. Googling the words “Tehran smog” shows even Fox news reported this along with the BBC, USAtoday, the LA Times, the NY Times etc…. In the 80s even though the population was only 40 million, power outages in Tehran was a daily occurrence. Iran increased it electricity output to the point that despite the population increased to over 70 million, and per capita usage increased with the advent of laptops, cell phones etc power outages are now rare. Iran now even exports electricty to many neighors such as Armenia, Azerbajan, Turkmenistan, Pakistan, Turkey, Iraq, afghanistan (Virtually every neighbor that it shares borders with). It even planned before the syria crisis to export to Lebanon and Syria which is now on hold. Thus adding Nuclear power plants makes a lot of economic sense as 1) oil can be used for export and petrochemicals instead of wasting it to make electricity. 2) it will relieve smog in Tehran and thus decrease smog and the resultant pulmonary illness, missed days at work, school. 3) Iran can increase electricity exports which will help the economy and help relieve unemployment as these plants need employees to work in them. am, Thanks for the clarification. It’s hard to understand how someone who is so hated though remains in power. Care to elaborate? For most Jews I know (except some in Israel), Zionism and Israel is one and the same thing. But I have heard that Iranian Jews in Iran pretend to be anti-Zionists in order to avoid severe persecution. The translation was “wipe zionism from the map”, and only ONE person said it and ths person is hated by 99% of iranians. This person also has a pic of his identity card, where you can clearly see his former name..SABURJEAN. Yet, the rumor regarding Ahmadinejad’s supposed Jewish background was primarily motivated by anti-Semitism, in that it was seen by those who believed it that it was an effective insult to the Iranian leader that would challenge his legitimacy. In fact, Amir noted, the rumor was most recently revived intentionally by Mehdi Khazali, an opponent of Ahmadinejad who is also the son of a conservative Iranian cleric.